Cardiac catheterization is used to study the various functions of the heart or to obtain diagnostic information about the heart or its vessels. A small incision is made in an artery or vein in the arm, neck, or groin. 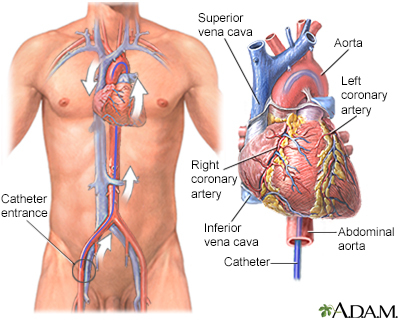 The catheter is threaded through the artery or vein into the heart. X-ray images called fluoroscopy are used to guide the insertion. 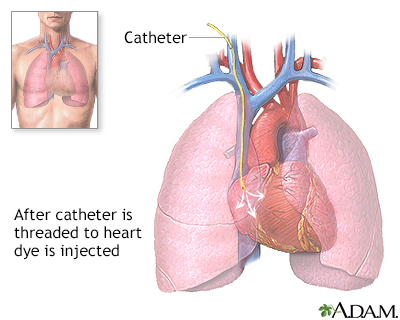 When the catheter is in place, dye is injected to visualize the structures and vessels within the heart.